What Caused the Salem Witch Trials? Rebecca Beatrice Brooks June 30, 2018 June 30, 2018 2 Comments on What Caused the Salem Witch Trials? 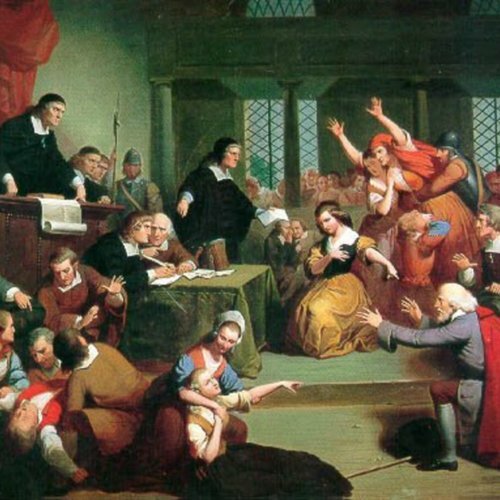 The exact cause of the Salem Witch Trials has long remained a mystery. Like many historical events, figuring out what happened is one thing but trying to figure out why it happened is much harder. 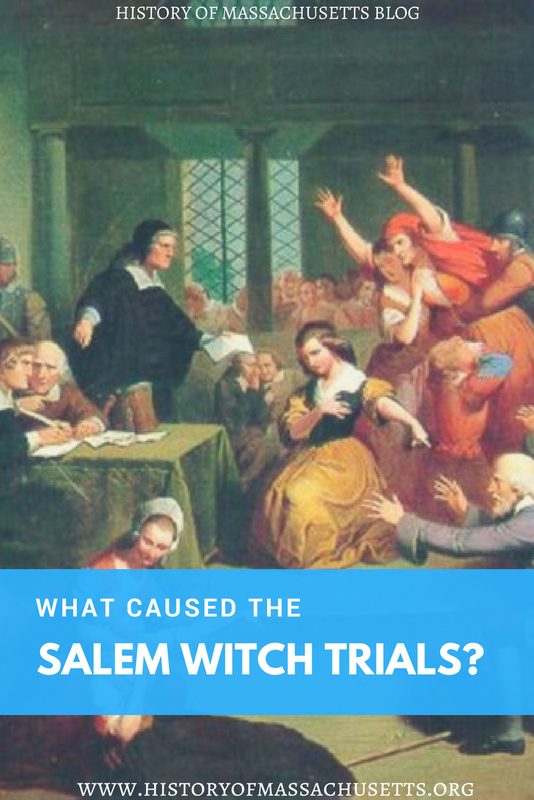 When it comes to the possible causes of the trials, two questions come to mind: what caused the “afflicted girls” initial symptoms and, also, what caused the witch trials to escalate the way that they did? Although colonists had been accused of witchcraft before in the Massachusetts Bay Colony, it had never escalated to the level that Salem did, with hundreds of people locked up in jail and dozens executed. Why did Salem get so bad? What we do know is that witches and the Devil were a very real concern to the Salem Villagers, as they were to many colonists. But since Salem had been experiencing a number of hardships at the time, such as disease epidemics, war and political strife, it wasn’t hard to convince some of the villagers that witches were to blame for their misfortune. Once the idea took hold in the colony, things seemed to quickly got out of hand. Conversion disorder is a mental condition in which the sufferer experiences neurological symptoms which may occur due to a psychological conflict. Conversion disorder is also collectively known as mass hysteria. Bartholomew believes what happened in Salem was most likely an example of a “motor-based hysteria” which is one of the two main forms of conversion disorder. Baker goes on to explain that many of the afflicted girls, such as Abigail Hobbs, Mercy Lewis, Susannah Sheldon and Sarah Churchwell, were all war refugees who had previously lived in Maine and had been personally affected by the war to the point were some of them may have been experiencing post-traumatic stress syndrome. In 1976, in an article in the scientific journal Science, Linda R. Caporael proposed that ergot may have caused the symptoms that the “afflicted girls” and other accusers suffered from. Ergot is a fungus (Claviceps purpurea) that infects rye and other cereal grains and contains a byproduct known as ergotamine, which is related to LSD. Ingesting ergotamine is known to cause a number of cardiovascular and/or neurological effects, such as convulsions, vomiting, crawling sensations on the skin, hallucinations, gangrene and etc. Ergot tends to grow in warm, damp weather and those conditions were present in the 1691 growing season. In the fall, the infected rye would have been harvested and used to bake bread during the winter months, which is when the afflicted girl’s symptoms began. Not everyone agrees with this theory though. Later in 1976, another article was published in the same journal refuting Caporeal’s claims, arguing that epidemics of convulsive ergotism have occurred almost exclusively in settlements where the locals suffered from severe vitamin A deficiencies and there was no evidence that Salem residents suffered from such a deficiency, especially since they lived in a small farming and fishing village with plenty of access to vitamin A rich foods like fish and dairy products. 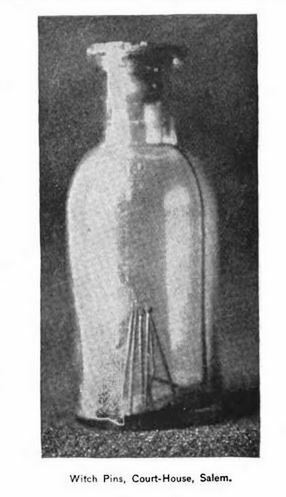 The article also argued that the absence of any symptoms of gangrene in the “afflicted girls” further debunked this theory as did the lack of convulsive ergotism symptoms in other children in the village, especially given that young children under 10 years of age are particularly susceptible to convulsive ergotism and most of the “afflicted girls” were teens or pre-teens. Historical records indicate that witch hunts occur more frequently during cold periods. This was the theory cited in economist Emily Oster’s senior thesis at Harvard University in 2004. In her paper, Oster explains that as the climate varied from year to year during this cold period, the higher numbers of witchcraft accusations occurred during the coldest temperatures. Salem was very divided due to disagreements between the villagers about local politics, religion and economics. One of the many issues that divided the villagers was who should be the Salem Village minister. Salem Village had gone through three ministers in sixteen years, due to disputes over who was deemed qualified enough to have the position, and at the time of the trials they were arguing about the current minister Samuel Parris. Rivalries between different families in Salem had also begun to sprout up in the town as did land disputes and other disagreements which was all coupled with the fact that many colonists were also uneasy because the Massachusetts Bay Colony had its charter revoked and then replaced in 1691 with a new charter that gave the crown much more control over the colony. Boyer and Nissenbaum go on to provide examples, such as the fact that Daniel Andrew and Philip English were accused shortly after they defeated one of the Putnams in an election for Salem Town selectmen. They also point out that Rebecca Nurse was accused shortly after her husband, Francis, became a member of a village committee that took office in October of 1691 that was vehemently against Salem Village minister Samuel Parris, whom the Putnams were supporters of. There is a small possibility and some evidence to back up the theory that some of the accusers were lying and faking their symptoms, although historians don’t believe this was the case with all of the accusers. Another girl, who was not identified in the court records, was actually caught lying in court during Sarah Good’s trial when she claimed Good’s spirit stabbed her with a knife, which she said broke during the attack, and then presented the broken blade from her clothing where Good allegedly stabbed her. Bernard Rosenthal also points out in his book, Salem Story, several incidents where the afflicted girls appeared to be lying or faking their symptoms, such as when both Ann Putnam and Abigail Williams claimed George Jacobs was sticking them with pins and then presented pins as evidence or when both girls testified that they were together when they saw the apparition of Mary Easty, which makes it unlikely that the vision was a result of a hallucination or psychological disorder since they both claimed to have seen it at the same time. Not only did some of the villagers believe the afflicted girls were lying, but they also felt that the Salem village minister, Reverend Samuel Parris, lied during the trials in order to punish his dissenters and critics. After the trials were over, many of the Salem villagers felt Parris was responsible and some even protested by refusing to attend church while Parris was still minister there. After two years of quarreling with parishioners, Parris was eventually dismissed sometime around 1696. Parris responded by counter suing for the back pay the villagers had refused to pay him while he was minister. He eventually won the lawsuit and left Salem village shortly after. English folk magic, which was the use of spells, ointments and potions to cure everyday ailments or solve problems, was often practiced in the Massachusetts Bay Colony even though it was frowned upon by most Puritans. Even though most colonists thought of folk magic as harmless, many well-known folk magic practitioners were quickly accused during the Salem Witch Trials, such as Roger Toothaker and his family who were self-proclaimed “witch killers” who used counter-magic to detect and kill witches. Another accused witch who had dabbled in folk magic was Tituba, a slave of Samuel Parris who worked with her husband John and a neighbor named Mary Sibley to bake a witch cake, a cake made from rye meal and the afflicted girl’s urine, and then fed it to a dog in February of 1692 hoping it would reveal the name of whoever was bewitching the girls. The girl’s symptoms took a turn for the worse after the incident and just a few weeks later, they named Tituba as a witch. The legal proceedings of the Salem Witch Trials began with the arrest of three women on March 1, 1692: Tituba, Sarah Good and Sarah Osbourne. After Tituba’s arrest, she was examined and tortured before confessing to the crime on March 5, 1692. Although her confession doesn’t explain the afflicted girls initial symptoms, which is what led to her arrest in the first place, some historians believe that if it had not been for Tituba’s dramatic confession, during which she stated that she worked for the Devil and said that there were other witches like her in Salem, that the trials would have simply ended with the arrests of these three women. To learn more about the Salem Witch Trials, check out this article on the best books about the Salem Witch Trials. Rosenthal, Bernard. Salem Story: Reading the Witch Trials of 1692. Cambridge University Press, 1993. Nevins, Winfield S. Witchcraft in Salem Village in 1692: Together With Some Account of Other Witchcraft Prosecutions in New England and Elsewhere. Salem: North Shore Publishing Company, 1892. Upham, Charles W. Salem Witchcraft: With an Account of Salem Village and a History of Opinions on Witchcraft and Kindred Spirits. Wiggin and Lunt, 1867. 2 vols. Fowler, Samuel P. An Account of the Life, Character, & c. of the Rev. Samuel Parris, of Salem Village and Of His Connection With the Witchcraft Delusion of 1692. Salem: William Ives and George W. Pease, 1857. Baker, Emerson W. A Storm of Witchcraft: The Salem Trials and the American Experience. Oxford University Press, 2014. Boyer, Paul and Stephen Nissenbaum. Salem Possessed: The Social Origins of Witchcraft. Harvard University Press, 1974. Spanos, Nicholas P. and Jack Gottlieb. “Egotism and the Salem Witch Trials.” Science, 24 Dec. 1976, Vol. 194, Issue 4272, pp. 1390-1394. Norton, Mary Beth. In the Devil’s Snare: The Salem Witchcraft Crisis of 1692. Vintage Books, 2003. Rebecca Beatrice Brooks is the writer and publisher of the History of Massachusetts Blog. Rebecca is a freelance writer and history lover who got her start in journalism working for small-town newspapers in Massachusetts and New Hampshire after she graduated from the University of New Hampshire with a B.A. in journalism. Visit this site's About page to find out more about Rebecca. I am a curious kid about the Salem Witch Trials, I’ve read many articles, and they mostly came from you, at least since 2011 until now. It’s impressive that you are still working really hard on this, I hope my comment can give you some more courage to keep this topic up. Hello I think this is really informational. I do have a question though. Is there anyway the trials could of been caused by the fear of women?